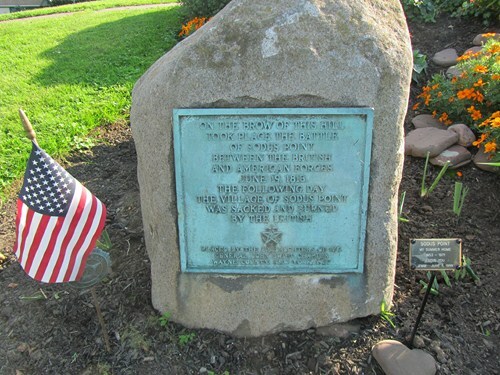 Located at 8440 Bay Street, Sodus Point, New York on the south side of the road in the 1812 Peace Garden. On the brow of this hill took place the Battle of Sodus Point between the British and American forces June 19, 1813. The following day the Village of Sodus Point was sacked and burned by the British.